Have you ever started a creative challenge, only to find yourself in the middle of it saying to yourself “Oh no! What have I gotten myself into? !“ I know I have. (I’m looking at you, #100daychallenge!) 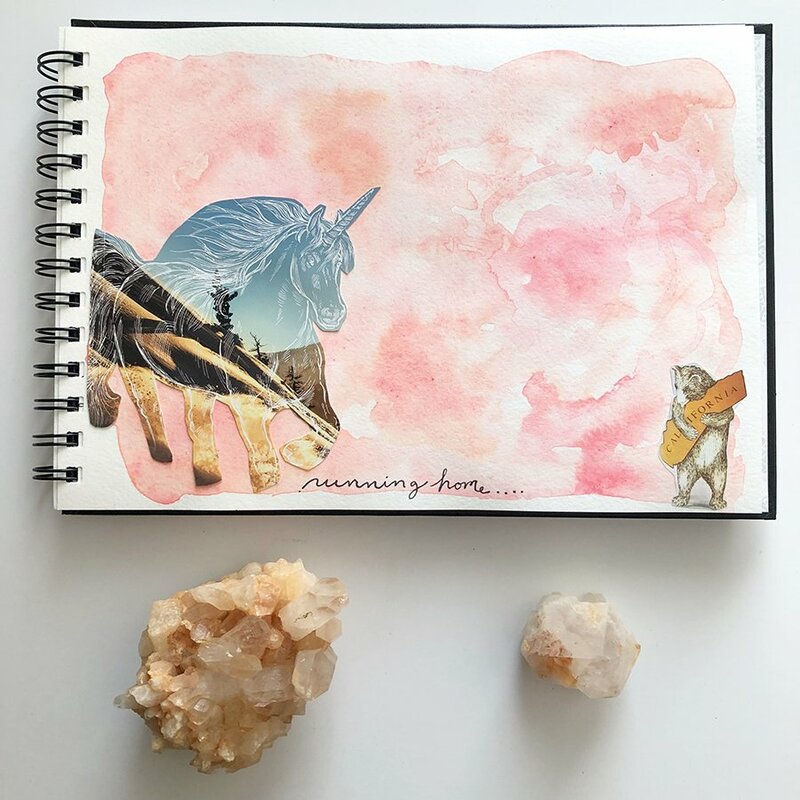 So I’ll (also) admit that when I started the 30 Day Art Journal Challenge with CreativeBug and Get Messy Art Journal I was a bit worried I’d feel the same way. Well, it’s 10 days into it and I can happily report: it has been so much fun! 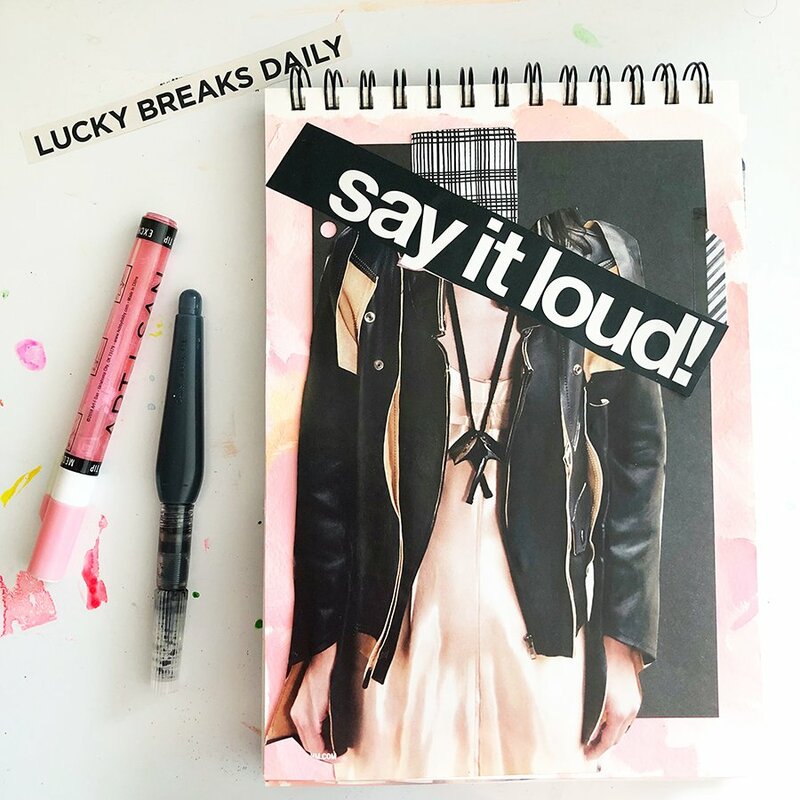 This 30 Day Art Journal Challenge is hosted on CreativeBug but I love the fact that the ladies from Get Messy Art Journal are also sharing live videos during the week on Instagram of their different takes on that day’s project. I also love following the hashtag — #creativebuggetsmessy — to see what everyone else is making! Talk about different takes! 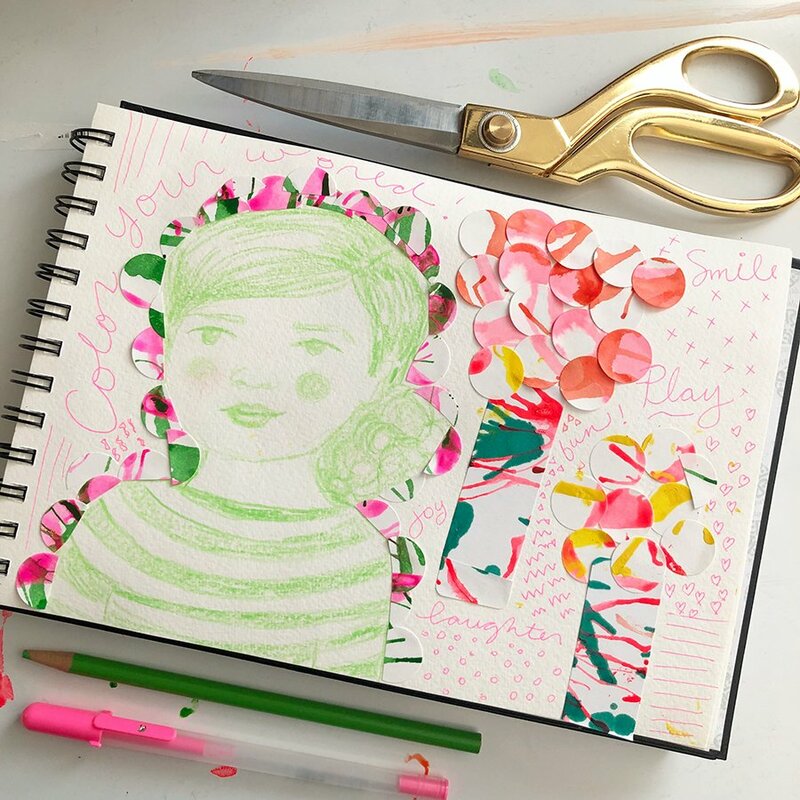 Art journalers are just so creative, I swear. We were supposed to use a photo on day one, but I didn’t have a recent one (and because I’d recently dyed my hair pink, I wanted to show that!) So I just drew this “portrait” of myself. 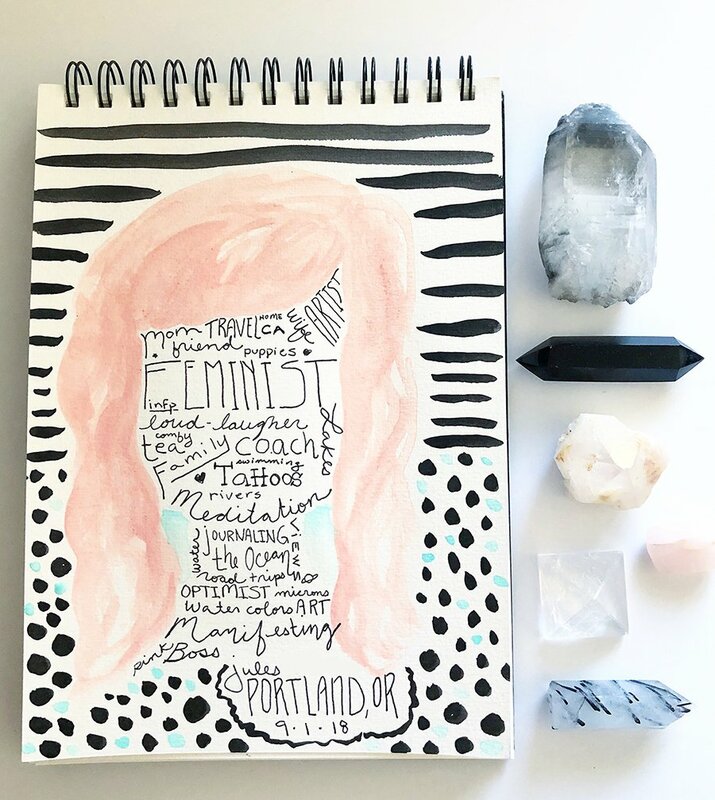 I used some old artwork I made (but didn’t love exactly as they were — but also didn’t want to throw out!) in some of the layers for day 2. I kept it simple for Day 3! 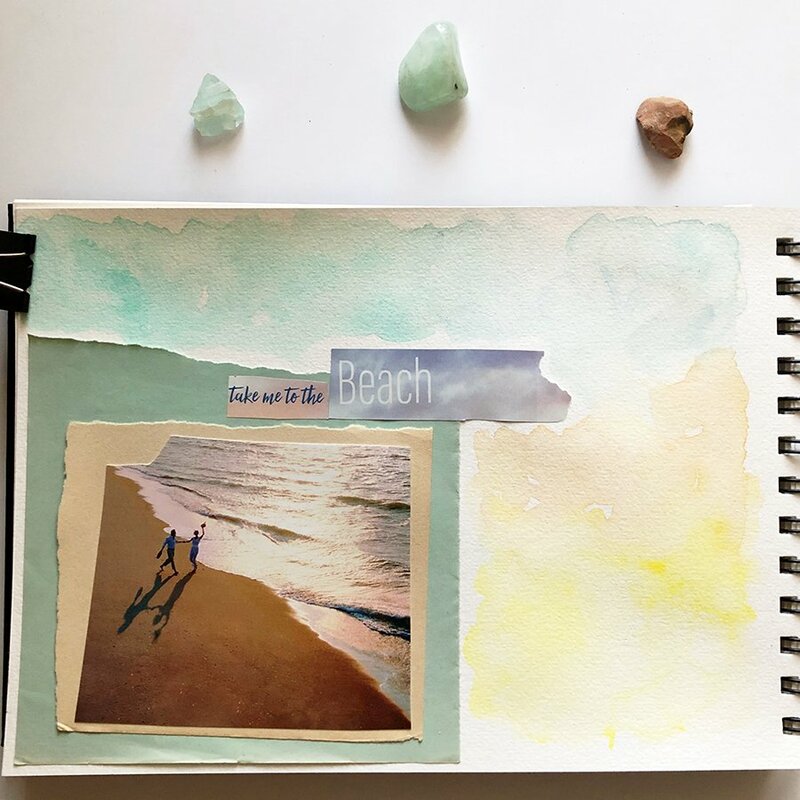 Another simple art journal spread for day 4. We used a certain technique for day 5 that, no offense to the instructors, I didn’t really love. So I put my own spin on it. Can you guess what it was? This is one that I didn’t love… but I also don’t hate. 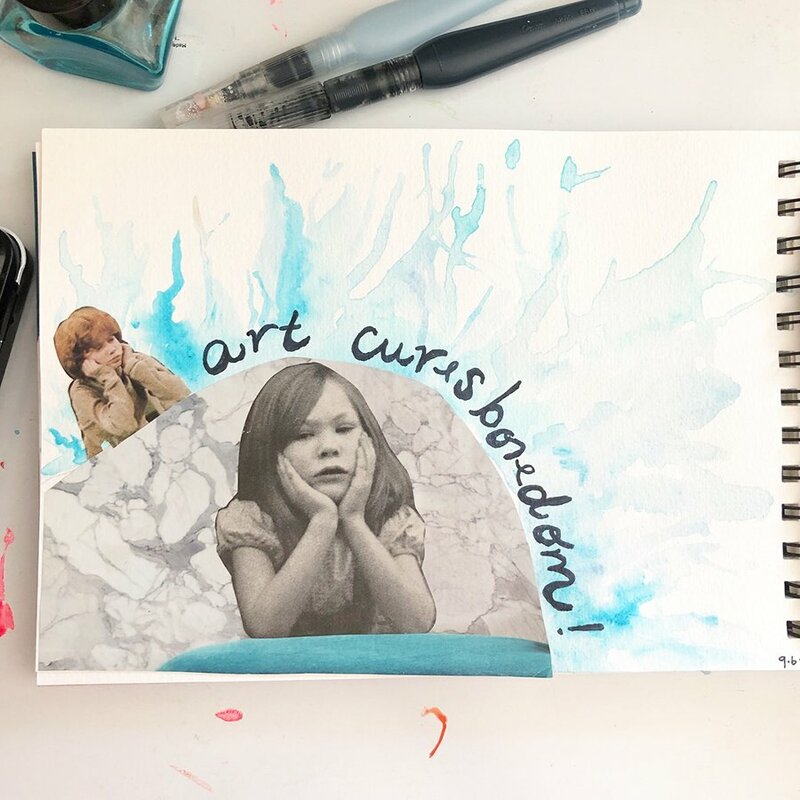 And it’s really true: art DOES cure boredom! This is a cover-up page that I really love! And I actually like that you can see some of the blue from the previous version of the page. 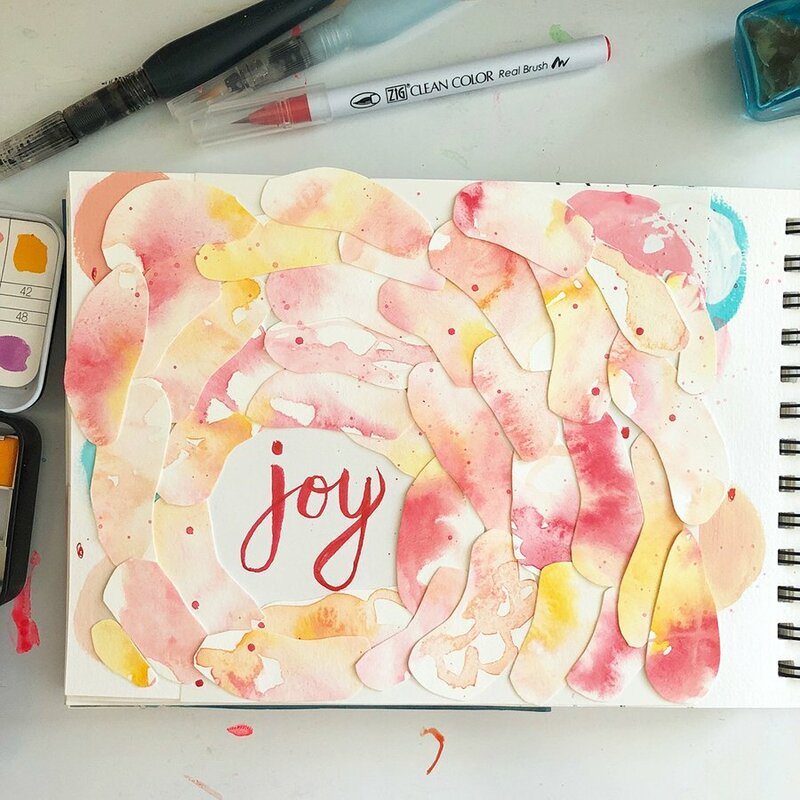 I’m pretty bad at hand-lettering, so this “joy” felt like a real win for me! I was missing some of the supplies the instructor suggested for this spread, but I’m not mad about it, at all! I actually really love how it came out. 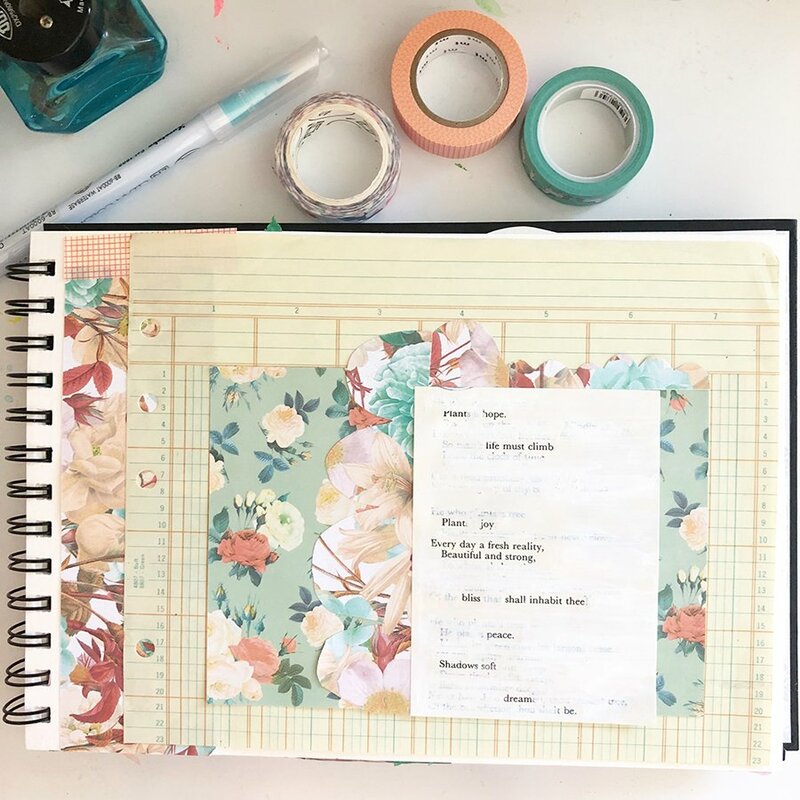 This was quick and simple, and feels so calm and minimal to me, even though I combined florals and text and a vintage ledger page… I think it looks sweet all together in the end. This was another cover-up page that was simple, easy, and I like how it turned out! If you’d like to see what I create over the next 20 days (and beyond!) 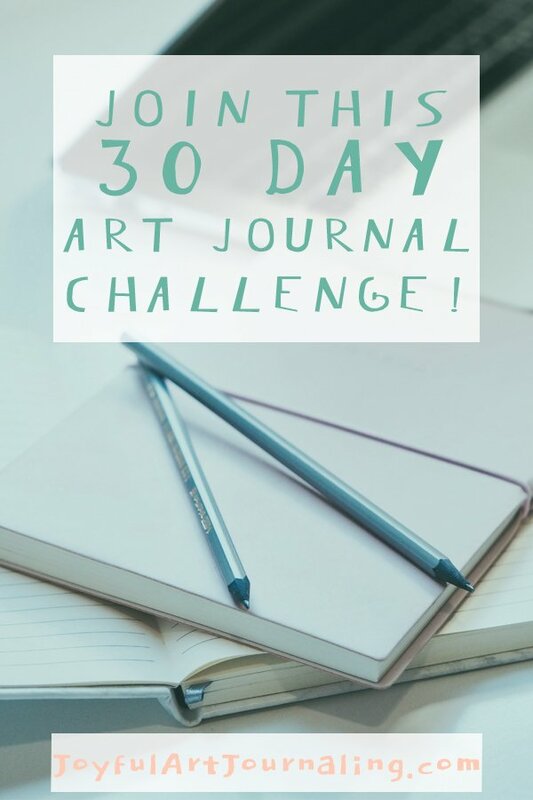 in the 30 Day Art Journal Challenge you can follow me at @joyfulartjournaling on Instagram. 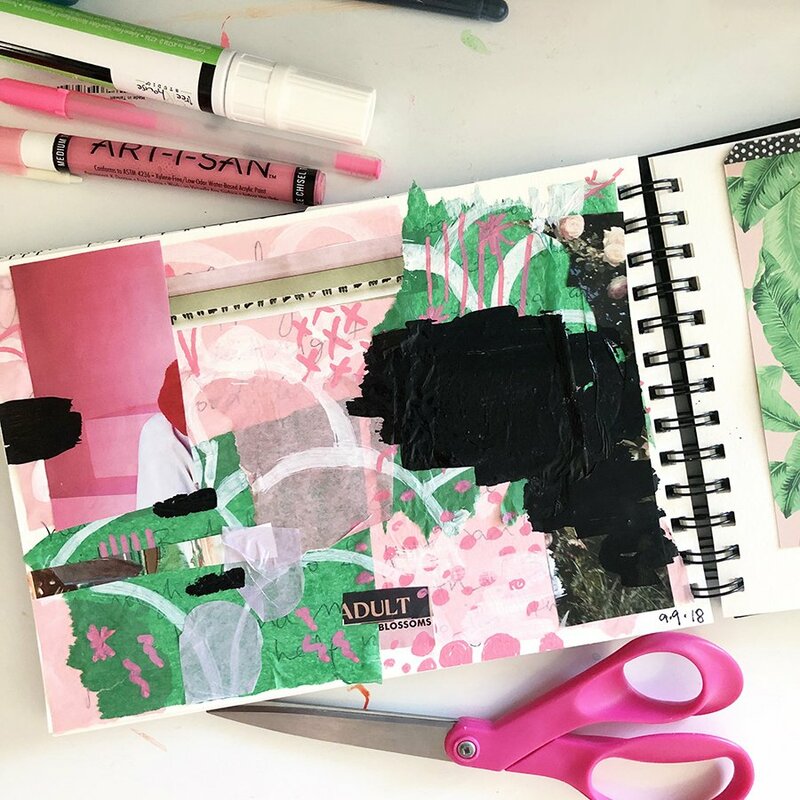 And if you are an art journaler, a sketchbook artist, or an avid bullet journaler, please use #joyfulartjournaling so I can find you and possibly feature you on my account!